If you just can’t stay without lip-smacking junk food and sugary delights, then it’s high time to limit your dietary habits as it can drag you to the viscous cycle of ‘Obesity’;It is a condition in which the body mass is not in proportion to your height. 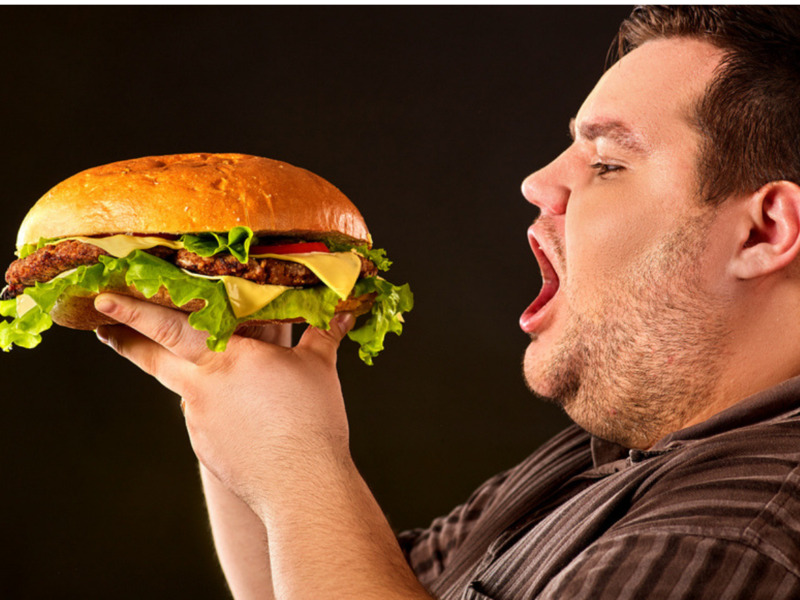 Being overweight or obese can lead to many disorders that affects our entire system. If you too fall in that category, then this article is a must-read for you! An obese person is prone to several life threatening diseases such as diabetes, heart stroke and even various types of cancer. When your body mass is disproportionate, you tend to become more lazy and lethargic, which also hampers your mental health. Obesity is an increasing issue these days, especially with the fast-moving world people don’t have time to pay attention to their food habits and lifestyle. Sometimes unknowingly or knowingly, we do consume certain food items that contain a lot of calories and can be really dangerous for health. Lazying around, binge eating your favorite foods and drinking without any physical exercise can be one of the main reasons behind your excess weight. Therefore, limiting these foods can actually help you in holistically improving your health. Here is a list of food items that you should definitely avoid in order to limit your calorie count. It is not a big revelation that junk foods are unhealthy, everyone is aware of the fact that deep fried, processed oily junk can cause damage to your entire system. Your all time favourite pizza, burger and crispy fries are loaded with cheese, salt and oil, which eventually disturbs your body’s balance and makes you obese. Milk chocolates are loaded with sugar to make it more delightful and tasty. The calorie count of these chocolates become really high due to the deadly combination of sugar and milk. Both of these processed ingredients are high on calories and can be really unhealthy, if not consumed in proportion. A strong steaming cup of tea or coffee is loved by all, generally, we tend to consume a minimum of 3-4 cups of these beverages in a day to keep ourselves going. Have you ever wondered how much sugar you are putting in? Even if you are putting just a spoonful of sugar, the combination of everything makes up for a large number of calories. Try to avoid sugar completely or limit your portion while having a hot drink. Candy bars are a big no no for anyone who wants to take good care of their health. These cute looking appealing bars are exceedingly high on calories. They are coated and filled with sugar to amplify the tasty. Everyone’s favorite fizzy and aerated drinks are loved and consumed by all! Especially, the youth love these flavoured drinks as an accompaniment to most junk foods. But the fizzy cold-drinks are filled with a lot of sugar to make it tasty and addictive. Try to consume fresh juice over packaged one always. Packaged juices contain added sugar, preservatives to increase their shelf-life and also to enhance the taste. The juices that come with 100% natural tags are also not a healthy option. Therefore, if you want to enjoy the benefits of the fruits, then always drink them fresh. White bread is high on the glycemic index and therefore, takes a lot of time to get digested in the body. These type of foods increases the blood sugar levels in the body and are not advised to consume on a daily basis . Just like the packaged juices, the packaged jams and spreads are also loaded with preservatives and sugars. Therefore, the consumption of these spreads can elevate your blood sugar level. Over-consumption of the jams and sandwich spreads that are endorsed with the tags of ‘filled with the goodness of fruits’ or ‘zero fat’ can actually lead to a surge in your weight. This delicious cold dessert is everyone’s weakness, it is really difficult to resist a creamy belgian chocolate scoop! But ice-creams are a store-house of rich cream and sugar, both of which are not advised for our health. Try to limit the consumption of ice-creams, if you are trying to shed those extra kilos. As chicken is advised for a healthy body, processed meats or frozen meat are always better to avoid. Especially, red meat like lamb and beef can cause more harm than good, therefore try to always consume fresh meat over canned ones.